Last year I vowed I would read and listen to more books. I used to be a ferocious reader, but when you work for magazines you do nothing but read! Not that's an excuse, but I am committed to spend less time disappointed about things I haven't done in my life, and more time devouring books. Two weeks ago I finished this incredible NON-FICTION book: "I will be gone in the dark" by Michelle McNamara, who sadly, died in the midst of writing this book. 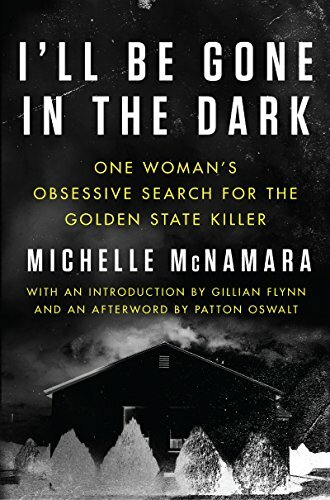 The book tells her story of tracking arguably one of America's biggest serial Killers, "The golden state killer". I didn't sleep for days after reading AND listening to the book. Pure terror and anxiety aside, this is an incredible book done by a really amazing writer and an incredible team of people that came together to finish her book. As you read this book, I would also recommend listening to the official podcast about the making of this book released by HapperCollins. It gives incredible insight about the writer and the work that went to make this book real. I also highly recommend watching Michelle's husband, Patton Oswald's Netflix Special "Annihilation" where he talks about her and her passing, as well as his appearance at NPR's Fresh Air. The last two aren't tied to the story of the killer per say, but to the amazing writer that wrote this incredible book and died thinking that he can still be caught. I am not going to assume anyone reads my blog, but if you do ( hi mom!) would love to hear what you thought of this incredible read.